Found 4 file extension associations related to Warhammer 40,000: Dawn of War 2 and 3 file formats developed specifically for use with Warhammer 40,000: Dawn of War 2. Warhammer 40,000: Dawn of War 2 is a real-time strategy/tactical role-playing video game developed by Relic Entertainment and published by THQ for Microsoft Windows. The plot follows the campaign of Blood Ravens Chapter in ​subsector Auerelia and their fight against Tyranid swarm. The game's campaign departs from those of its predecessors in several key features. 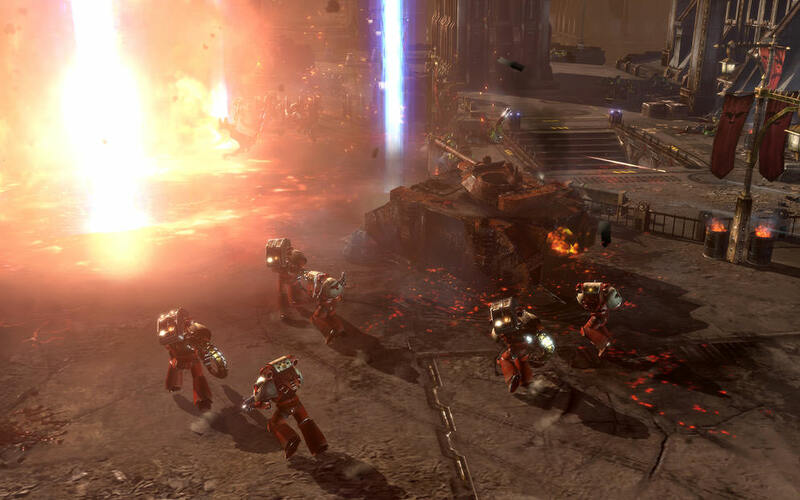 One of the most notable departures is that there are no base-building elements, unlike in previous Dawn of War titles. Instead, the player chooses the units to be used prior to beginning a mission, cannot build new units once the mission begins, and has only limited reinforcement options. If you need more information please contact the developers of Warhammer 40,000: Dawn of War 2 (Relic Entertainment Inc.), or check out their product website.